The software, implemented by the University of Washington-based Pacific Northwest Seismic Network based on a California tool, is the region’s first warning system for incoming earthquakes. A prototype was shared this week with a group of people from outside the research community. The trial group includes Boeing, Microsoft, Sound Transit, Providence Hospital and other hospitals, transportation agencies, utilities and emergency managers. Members will meet Tuesday, Feb. 17, on the UW campus for a workshop to introduce the system and discuss its potential for emergency planning and response in the region, which spans the coastal area from Northern California to southern British Columbia. “We have found capable partners that will give us good feedback, but we also value diversity,” said John Vidale, a UW professor of Earth and space sciences and director of the seismic network, which includes the UW and the University of Oregon and is overseen by the U.S. Geological Survey. In Japan, similar earthquake alerts have been used to slow bullet trains to prevent derailment, trigger automated earthquake and tsunami alarms in schools, and shut down expensive manufacturing equipment to avoid damage due to shaking. Here, some 240 seismometers installed throughout Washington and Oregon currently detect vibrations and send readings to a computer at the UW, where the regional seismic network creates an automated report within about 10 minutes after any seismic event. 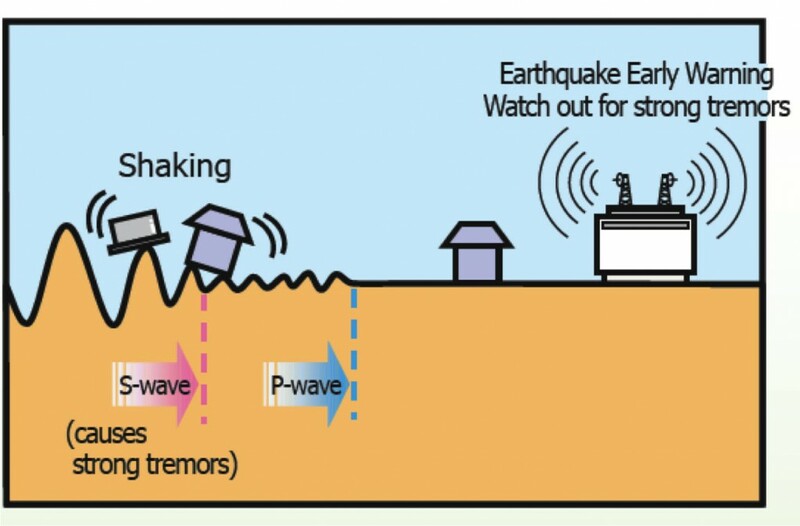 The new early warning system being tested will create an automated alert as quickly as four seconds after a quake’s fast-moving but harmless P wave is first detected. Depending on the geography, earthquake size and distance to the user, that could mean a few seconds to more than a minute’s warning before people would start to feel the ground-shaking S waves. Over the coming months, the researchers expect they will run into problems with missed events or having a single event trigger multiple alerts. They hope to work out these kinks for the next year or so, while institutions begin to think about how they might integrate the alerts into their emergency planning. 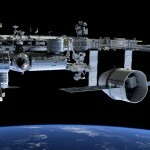 “The reason we’re working with this limited group is because they have a tolerance for the errors that we know might crop up,” said Paul Bodin, a UW research professor of Earth and space sciences who is tuning the regional tool. The UW is collaborating on West Coast early earthquake warnings with the University of California, Berkeley and Caltech, the two groups that developed the software. The UW joined the existing California collaboration after the 2011 Tohoku earthquake and got initial funding from the Gordon and Betty Moore Foundation and the USGS to develop a system similar to the one that saved lives in Japan. The California and Pacific Northwest regions collaborate, but currently focus on their own equipment, user groups and distinct types of seismic risks. California has been testing its version with institutional users for more than a year with the support of the state’s emergency management office. The Bay Area Rapid Transit system, or BART, recently began using the alerts to slow its trains to prevent crashes. The new Pacific Northwest tool will by default issue an alert for any earthquakes above magnitude 3, which are generally harmless and occur somewhere in the region about every two to three weeks. Users can move that minimum threshold upward. Magnitude-4 earthquakes generally happen in this region about twice a year, and magnitude-5 earthquakes, which generate noticeable shaking, occur roughly once a year. A magnitude-9 earthquake last happened here in 1700, but a repeat could come at any time. The software works on Windows, Apple and Linux desktop computers. Future work will include providing alert messages for mobile devices and other means. The University of Oregon has, until recently, primarily provided technical assistance for the seismic network, but that role is expanding thanks to federal and state support, said Douglas Toomey, a professor of geophysics. A $670,000 request in the Oregon governor’s proposed budget will allow the UO to add additional sensors in the state. The federal budget proposed this month by President Obama includes $5 million per year of long-term funding for a West Coast earthquake warning system. That helps reach the $16 million annually that USGS estimates it would cost to implement and maintain a West Coast warning system for the public. A reliable system, Vidale said, would require roughly doubling the current number of seismometers to fill in gaps, replacing older seismometers, updating some telecom equipment to minimize delays in the data transfer, and hiring a larger staff to maintain the equipment. With funding, alerts could be available to the public within a few years, Vidale said. 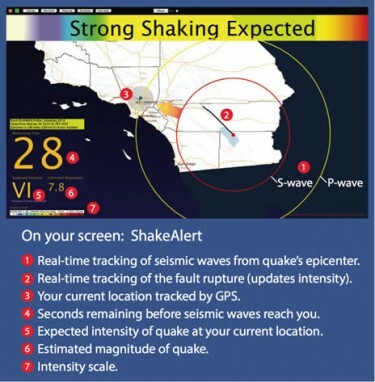 The goal is to get the technology and the users ready in the two regions, and eventually to merge the two into a single earthquake-alert system that spans the whole West Coast, and perhaps someday other earthquake-prone regions such as Hawaii, Nevada, Utah and Alaska. For more information, contact Vidale at 310-210-2131 or vidale@uw.edu, Bodin at 206-616-7315 or bodin@uw.edu, and seismic network communications manager Bill Steele at 206-685-5880 or wsteele@uw.edu. The Feb. 17 workshop will be held at the UW from 10 a.m. to 2 p.m. and is not open to reporters or the public. Reporters may set up interviews with workshop organizers or attendees; for details contact Bill Steele at 206-685-5880 or wsteele@uw.edu.